Boxing classes has become a popular mode of exercise for toning up and losing weight. It challenges you physically and mentally. 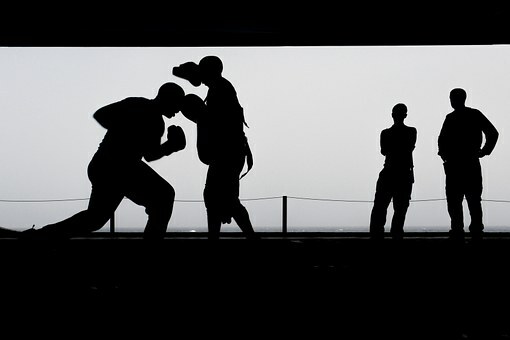 Boxing classes in Dubai helps tone and strengthen your muscles, as well as being a fantastic stress reliever. It is a high intensity exercise routine and can burn tons of calories. It is also one of the quickest ways to achieving weight loss goals. Boxing is a fat burning routine, and can even burn up to 500 calories per class. Being a high intensity training routine, boxing allows you to burn calories not only during the session, but long after you are done. In fact, you will burn heaps of calories once the session has ended. When it comes to burning calories and losing weight, boxing is a friend. If you’ve ever seen a boxer’s physique it is toned it appearance, minus any of the bulk. This perfectly tones up physique can be achieved through boxing classes in Dubai. Boxing involves repetitive punching that result in toned, taut muscles. This contrasts heavily to weight lifting or bodybuilding which is a low and controlled movement producing size or bulk. Resistance training increases the strength of your bones and minimizes the chances of developing osteoporosis. Punching bags in boxing provides resistance. Your joints, ligaments and tendons will get stronger when you perform a resistance workout. Boxing is for the whole body. It is a complete body movement so when you throw punches at the punching bag all the muscles in your body are contracting. Your heart and lungs pump blood overtime providing oxygen to the rest of the body. Your cardiovascular system gets a full body workout in a boxing session. It forces the body to adapt better at delivering oxygen, challenging the body to the maximum. This leads to a high intensity workout, and a greater fat burning result. What makes boxing effective for weight loss? In the ring, boxers stay on their feet for multiple rounds, 10 to be exact. A boxing class usually consists of a high intensity, aerobic workout with a jump rope. In a well structured boxing class in Dubai you will be crossing to and fro, moving back and forth from high intensity to jumping rope. This is similar to circuit training. And it makes it easier and more effective to lose weight through a disciplined boxing program.